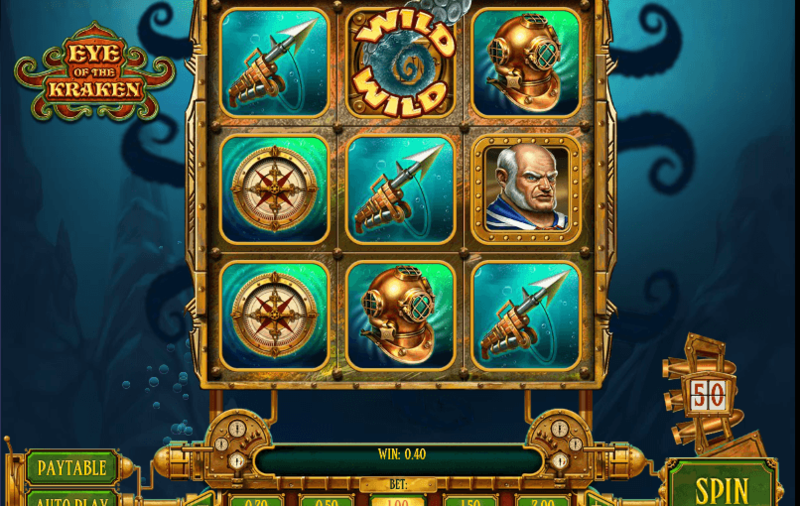 The excitement runs deep in Eye of the Kraken, an undersea slot adventure from Play’n GO.Your objective is to line up three matching symbols or form a pattern of four matching symbols to win. The wild tentacles of the Kraken can help you grab more prize-winning combinations along any of the eight fixed paylines. Tentacles may slither into the game after any spin to transform one or more ordinary symbols into wilds.